Posted 3/25/2019 1:14pm by Betsy Austin. It\'s that time again! 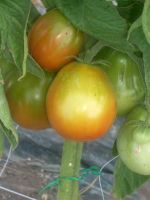 Time to sign up for the 2019 CSA season from Circle A Garden. First veggie pickup of the season will be Saturday, April 13 9:00 am to noon. So far it looks like we will have radishes, chives, assorted Asian greens, possibly salad turnips, kale, chard, mustards, and a few assorted herbs. Things are really growing fast now that we have some sunshine so we may have more! !